The new LG G8 ThinQ when announced was expected to be the futuristic smartphone in our modern times. And considering how speedy smartphones are transforming into really powerful all-in-one mobile computers, LG Electronics wants to stay relevant in the industry. While companies such as Huawei, Oppo, OnePlus, Samsung and Xiaomi all delivering amazing smartphones with futuristic features, we know this is the era of fierce competition for the smartphone market which will keep hiking the price tags of smartphones because more and more powerful features and technologies are added to these devices every single year. With LG G Series, the company had been able to stay relevant and the loyal fans of the LG G Series won’t mind whatever addition the company puts on the device each year. While the modular LG G5 was a little bit of a mess and didn’t meet the expectations of everyone, the need to tweak things and follow partially the industry trend was necessary. 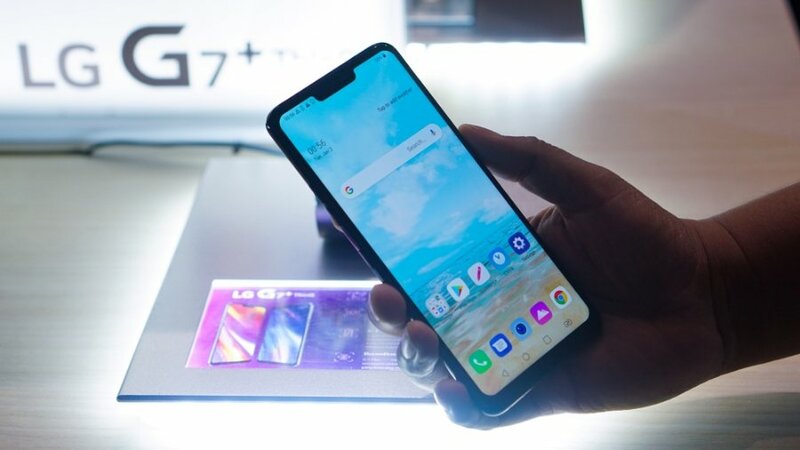 And with the LG G7 ThinQ which focuses it’s most energy on the BoomBox sound Hi-Fi dound quality, we all know we were getting into a really smartphone era where by every smartphone makers tries to channel it’s strength on a particular feature and do it better than the others. Huawei P30 Pro might seems like the all round smartphone or the Samsung Galaxy S10 having all the features anyone would want. But then the LG G8 ThinQ. As basic as this smartphone might look on the outside, it has what makes it enticing and great at least from consumers point of view. The adamant pursuit for powerful audio digital quality by the LG company might be it’s selling point and adding up some better tweaks to the device makes it amazing. With a dedicated Google button on the right side of the button and a custom Android skin built on top of the Android Pie 9, It’s surely a device you might want to try out and see if you should switch to it or not. The LG G8 ThinQ comes with a massive 6.1 inch display which puts the device on the 15.49 CM spectrum of smartphones and it has a nice screen resolution of 1440 x 3120 Pixels running on the Android Pie Version 9.0. Do not forget the Processor of the LG G8 ThinQ to be an Octa-Core (2.84 GHz, Single Core, Kryo 485+ 2.42 GHz, Tri Core Kryo 485 + 1.8 GHz, Quad Core, Kryo 485) System on Chip (SoC). Running things smoothly on the device is the 6 GB RAM memory as well as a great 128 GB in-built memory. The battery is great and it’s 3500 mAh battery. LG had managed to garner a big reputation for making smartphones with awesome battery life. We just hope the LG G8 ThinQ battery is as good as we think it is. Coming to the back of the device are dual camera lenses with a flash and a fingerprint sensor. The amazing fact of the back of the device is that there is no battery bulge or protrusion. It’s all plain flat and feels good to hold. Comparing the fact that smartphones now flaunt quad cameras setups at the back makes the LG G8 ThinQ feeling outdated. While there is a 12 MP and 16 MP Cameras at the back of the device, it also features fingerprint scanner. The side of the device is where the dedicated Google button lives as well as the volume control. The bottom is where the headphone jack and USB Type-C resides. Coming the front is the old looking giant Notch with a single camera on the device. While the Chin now is well more modified and looks tinier, the notch is still an issue. Huawei P30 Pro for example features a tear-drop notch, Honor View 20 has just a Punch-hole as well as the Galaxy S10 series. Even the recent Galaxy A80 features a rally full-screen display with flipping camera. But let’s leave that aside for now. Other features includes the Light sensor, Proximity sensor, Accelerometer, Gyroscope. Despite the new Hand ID feature added on to the device it still has support for fingerprint scanning. For graphical performance that can make games run smoothly, this phone has got a Adreno 640 GPU. On board storage is at 64 GB with the option to expand the memory by Yes Up to 2 TB. Design is one of the most important factors when it comes to mobiles. This phone is 8.4 mm slim and weighs 167 grams. The LG G8 ThinQ features the on-screen speaker making the sound very amazing at least to a great extent. As mentioned earlier on, It’s like LG wants to focus more on high definition audio quality over other things which part of what makes the LG G8 ThinQ amazing. Another thing that I found fascinating is the Hand gesture or do I say Motion Gesture which enables the LG G8 ThinQ to pick your hand movement to control some parts of the device like the volume. You just fold your fingers as though it’s a claw and then get your hand as close as 4 Inch to the Devices upper area and then move your hand as if you’re tilting an imaginary volume rooker. It’s magical and amazing. Imagine doing that while your friends are playing music on your device and you just walk in and do the magic “claw finger”. Also the Hand ID is another amazing thing not to forget about. So your hand suddenly becomes your new fingerprint and face. While there might be some security glitches on that later on, let’s focus on the innovation behind this. While the Hand ID isn’t the smoothest while tested out, you always have to get your palm close to the sensor area (not very close though) to do the unlocking, it might be a good thing. But more on the LG G8 ThinQ review when we fully conduct our own test it in-house to see how great it is. The audio quality or should I just call it the Boom Sound is what LG had been adamantly building into it’s LG GSeries ThinQ since inception last year. The latest among them, the G8 features a really nice and “Crisp” audio quality which fires under the screen of the device. It also sound great depending on whatever surface you place it upon but it’s in fact not the “Very Best” audio quality out there. For example, a quick comparison with the Huawei P30 Pro audio quality was quite close. For example, the P30 Pro sound was louder and very clear. The LG G8 ThinQ audio quality was more of a bass. The device vibrates at some certain audio and it’s not as loud as the Huawei P30 Pro. But let’s talk about the technology behind the LG G8 Speaker. The device feature the new Crystal Sound OLED panel which LG developed to turn the screen into a speaker by vibrating the surface similar to a diaphragm. This “speaker” works in tandem with the bottom-firing speaker that fills the bass. Additionally, the resonance chamber from last year’s G7 ThinQ makes a return, using the internal space of the phone to amplify volume. The result is a loud phone with stereo speakers. Very SECURED! With 3 different authentication methods, it’s as if bypassing the smartphone’s security post is nearly impossible. But well let’s break it down. 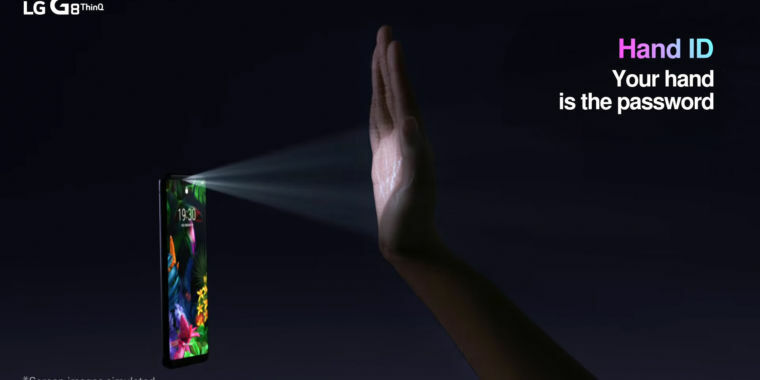 The LG G8 still retains the capacitive fingerprint scanner which is usually found at the back of most Android smartphones on the rear end of the LG G8 ThinQ also. 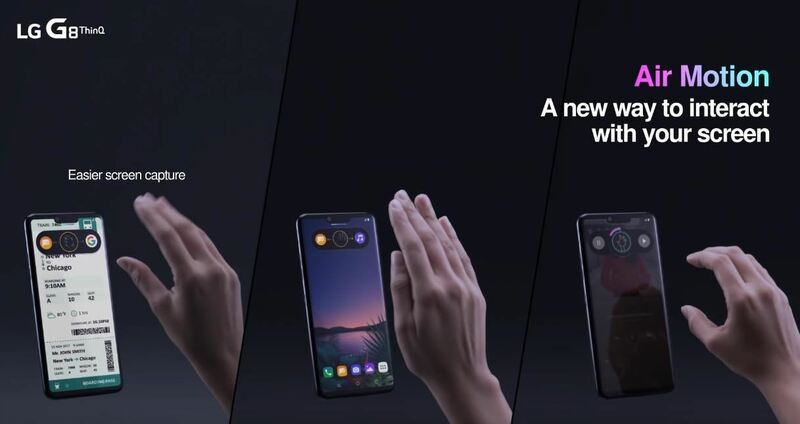 Then the device now feature a so called “Z Camera” which you can also use 3D Face Scanning to unlock the device just as in the case of Apple’s Face ID. Even though LG is said to be on the wait for Google to implement more supports for this feature in future releases of the Android Q which will make the G8 security capable of mobile payment services. And last but not the least is the Vein ID. LG uses ToF sensor to detect your blood and use that to figure out your vein pattern. This pattern, which is unique is then used to authenticate you and allow you to access your phone whenever you want. While the process isn’t the most convenient, it is nice to see LG think out of the box and try to create unique experiences. Video [email protected]/60fps, [email protected]/60fps, [email protected], HDR10, 24-bit/192kHz stereo sound rec. Disclaimer. We can not guarantee that the information on this page is 100% correct. We’ll publish our full review in the coming weeks. Yes i also personally think that Lg G8 thinq is better and i already got my unlocked through a service https://www.unlockunit.com/unlock-lg-g8-thinq-032553 It was fast and easy!